In a real estate market defined by the word “more” (more business, more agents, more optimism), Nu Vision Realty owner Katherine Woodburn says Realtors are ready for less. So, she’s giving it to them. At Woodburn’s newly launched company, which opened its Lee Highway location in November, Realtors won’t pay any fees. No desk fees, no transaction fees, no office fees – nothing. “Your split is yours to keep,” she says. Woodburn launched Nu Vision out of a desire to step out from under the umbrella of a franchise and start her own concern. 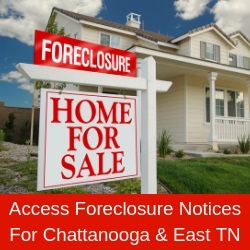 She was previously part-owner of the now-shuttered Exit Realty franchise in Chattanooga. While Woodburn has good things to say about the company, the dos and don’ts that come with doing business with a franchise were too restrictive for her. Woodburn also wants her agents to earn more money. Hence, the no fees policy. But “no fees” doesn’t translate to “no support” for Realtors. On the contrary, Nu Vision already has all the bells and whistles agents need, Woodburn says, including yard signs, lockboxes, work stations with online access, a conference room for meetings with clients and a lead-generation system. Agents also have access to Nu Vision’s broker, Rod Cook, a 12-year veteran of the local real estate industry who’s worked with two of the biggest names in the region – Aaron and Sheila Shipley, owners of ERA Blue Key Properties. Cook is taking a “down the hall” approach to supporting his brokers. This means being available to give everyone one-on-one attention. While Woodburn says the good health of the real estate market makes this a great time to launch Nu Vision, she would have had no qualms about starting the brokerage under less favorable conditions. She did it once before when she and her husband opened their own mortgage lending company in 2008 – after the real estate bubble burst. While Woodburn might have an aversion to franchises and large companies, she’ll be competing against those very entities for a piece of the real estate pie in Chattanooga. But that thought doesn’t faze her. Cook also brushes aside the suggestion that brand recognition is of paramount importance in real estate. Buyers and sellers don’t work with a particular company, he explains, they work with an individual they know. With this in mind, Nu Vision will be carving out its share by focusing on having well-trained and determined agents. Nu Vision took instant shape when Exit Realty closed and a portion of the agents moved with Woodburn. The company currently has eight real estate professionals serving residential and commercial clients in Tennessee and Georgia and an in-house lender. While this is small compared to many local brokerages, Woodburn is more focused on defining the heart of Nu Vision rather than its size. To help nurture a friendly atmosphere, Woodburn and Cook recently held an office Christmas party at which they presented gifts. Cook says he poured a lot of thought into the presents and wound up making two of his agents cry. “One lady has had a really tough year, personally and professionally, and needed to relax, so I bought her a massage at Massage Heights, where she can have peace and serenity for an hour,” Cook adds, laughing. Cook then pauses to wonder if the second lady might have preferred an hour at Massage Heights, too. Sometimes, those who agree to take less still want more.